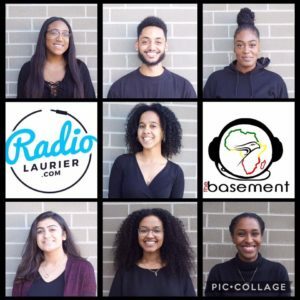 After a long and intense week packed with midterms, papers and readings ,your favourite team on Radio Laurier came through with another entertaining show to end off the weekend! We took some time to reflect on the captivating art exhibit that the AAPR initiative held at Laurier last Friday! It was a very thought- provoking event and we want to thank everyone who came out to support and partake in the activities that day. 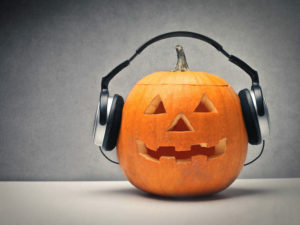 The team then shared how they spent their HALLOWeekend and one thing we know for sure is that Nadia DID NOT partake in any intoxicating activities this past weekend 😉 Good for you Nadia, alcohol is poison. We also want to thank everyone that did not participate in blackface or any other culturally insensitive actions for the sake of fun and games ; You smart, I appreciate you! Following our first music break, the team went on to discuss hot! celebrity couples which trickled into a funny conversation on the idea of proposals. We asked our audience how they felt about the idea of women proposing to men in place of more traditional conceptions of the marriage process in western culture. Brianna was NOT having it, but in the end she came to the conclusion that if her baby wanted a ring her baby was getting a ring! Okaaaaaaay bod gyal Bri with the unmatched confidence ;). Our next music break gave our audience the necessary vibes to relax on the cold Sunday night with some throwback tracks. Keep doing your thing Marium , keep coming with the heat. Our discussion then went into Hip-Hop’s cultural influence in today’s society. We talked about the social implications of using certain references in music as well as the styles that have developed from it. We decided that it is more important to focus on the positives rather than the negatives. If there is one thing that we could all agree on, it is that hip hop and rap culture is here to stay and it is more vibrant than ever! After another poppin music break , our discussion got heated on the topic of red flags in relationships and situationships. From bad breath to inconsistency the team had the MOST to say on what they don’t like to see in the other person. Our audience certainly had a lot to contribute to this discussion. The topic then ran into a discussion about friends with benefits. We asked, do friends with benefits really work ? While some thought that it definitely could if both parties remain on the same page, others agreed that it could not long-term. Our final discussion was surrounded by what it means to have privilege in the black community. The team talked about the light skinned, dark skinned debate in the black community and our experiences dealing with this issue. Our final music break lead into our shoutouts and songs of the week. We appreciate the continuous love and support that we have received from everyone. Thank you all so much for tuning in and remember to always stay real folks!